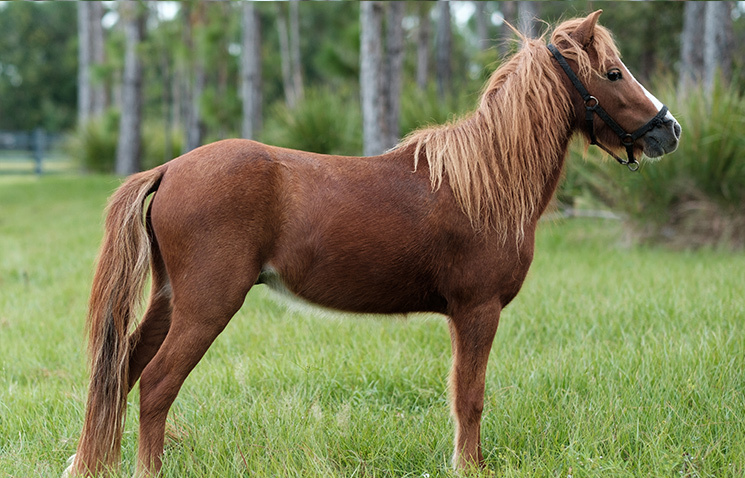 Miniature horses are determined by their height. 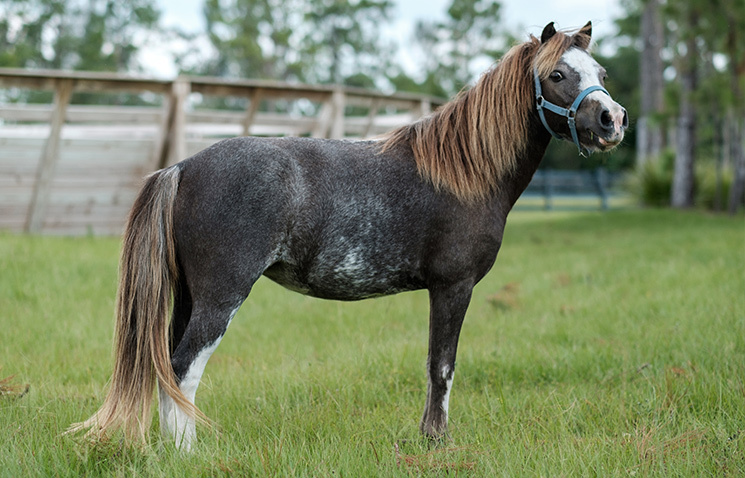 Depending on the breed registry, miniature horses are usually less than 34-38 inches (measured at the last hair of their mane at the withers). Their size and disposition has made them popular equines for children. 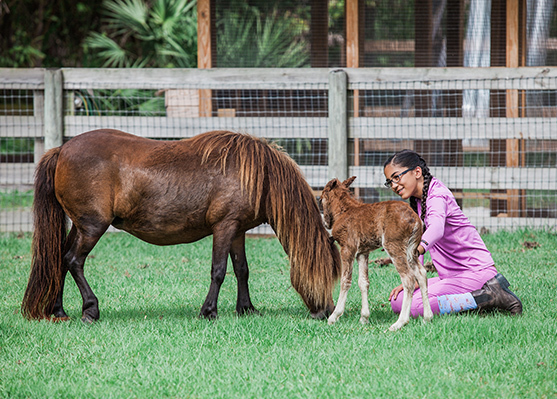 At Weisberg Stables we breed and train our miniature horses for driving, therapy, obstacles in hand and showing. 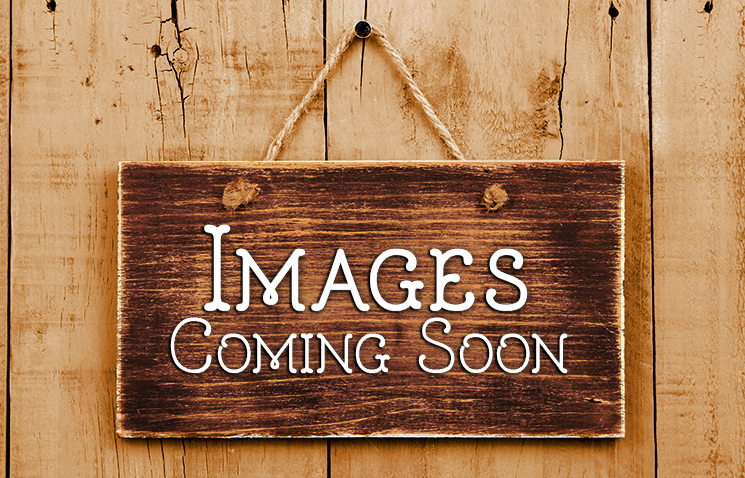 Check our listings for availability. 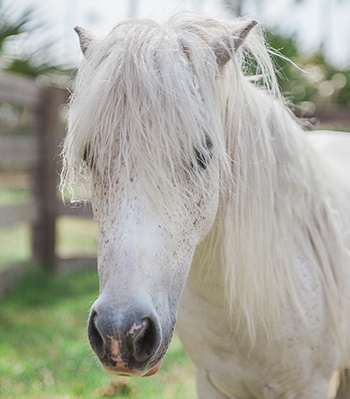 Bling is perhaps the most docile child loving and easily handled stallion we have ever met. With his lion like mane and one blue eye he is generally popular with children. Bling has given us many gorgeous foals who share his kind temperament and often, one blue eye. Designer Flowers for Idol competed in the 2016 World Miniature Show and earned the title of 6th Supreme. 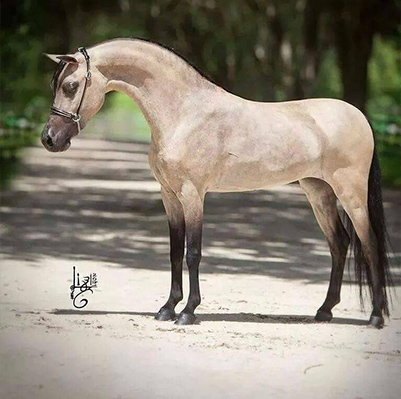 Flowers is a stunning mare with a kind and quiet disposition. She is a favorite among children and just as beautiful on the inside as she is on the outside. We are looking forward to having her first foal in Spring 2019 and starting her training in driving. Buddy is aptly named because he is everyone’s Buddy. His kind disposition and agreeable nature make him a wonderful confidence building horse for nervous children (or adults). Bling is a favorite in our Unbridled Power Equine Assisted Learning Program. He enjoys obstacles and jumping in hand. We are looking forward to continuing his training as a driving horse. Sunday is one of those horses that draws you in. 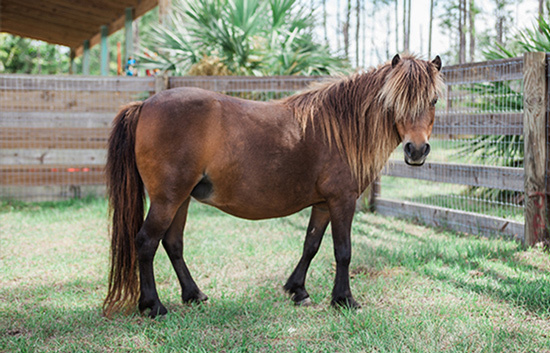 She is an asset to our EAL program because of her larger Shetland size and her strong personality. Sunday is kind but she has definite boundaries and isn’t afraid to let her opinions be known. She is a good mother but doesn’t spoil her foals. Sunday is primarily being used as a broodmare and in our EAL program but we have plans to train her in other things and find her perfect fit. We have no doubt she will let us know! Frisco is a 3-year-old Paint Miniature who loves meeting new people and getting scratched on his neck. Frisco is currently learning to drive and has no problem going over obstacles in hand. Frisco is full of personality and is hard to miss with his gorgeous coat, long mane and puppy dog personality. 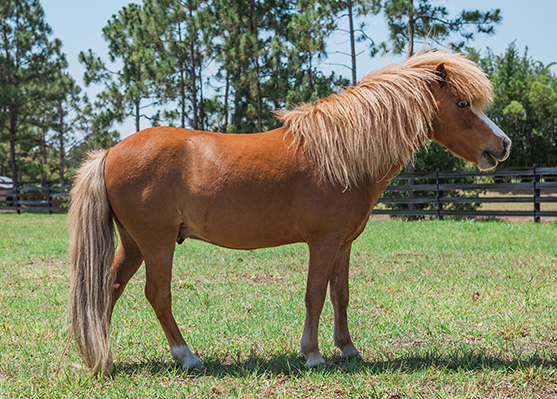 Cosmo is our six-year-old Palomino miniature gelding with a wonderful pedigree. Cosmo is trained to drive, jumps and does obstacles in hand. He is patient, gentle, and even-tempered. He is a wonderful partner and teacher for children beginning to learn horsemanship, grooming and driving. 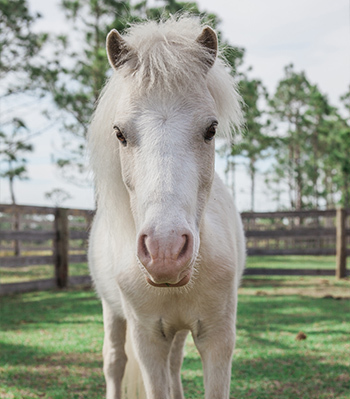 Snowball is a five-year-old miniature gelding who came to us from Oklahoma. Snowball rides western and drives. We don’t know the full story of Snowball’s early years but when he came to our farm he trusted children but was quite nervous and mistrusting of adults. Through patience, consistency, and a lot of love Snowball has learned to trust adults again. 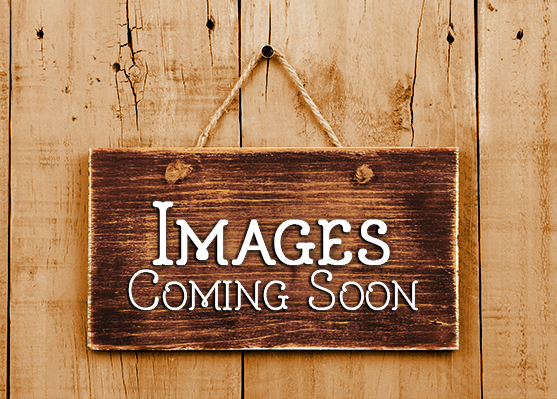 He is honest and kind with his young riders and seems to have a special connection with children who struggle with trusting others.